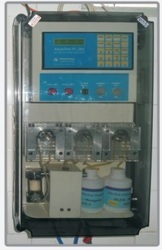 Industry standard, CL17 Free Chlorine Analyzer. Included with the CL17 analyzer is a 1 month supply of DPD indicator and Free Chlorine indicator and buffer solutions, installation, sample conditioning, maintenance kits, and a user manual. Since our commencement, we are immersed in presenting an elite array of Chlorine Meter. The Free Chlorine Residual Analyzer has been independently tested and proven to be a reliable analyzer for continuous, accurate residual analysis. The potentiostatic-based instrument is designed to continuously analyze free chlorine in water, wastewater, cooling water and other process water applications. Hydro-guard HG-High Cl: Amperometric technology provides versatile multi parameter measurements for industrial applications. A complete, flexible solution to fit any application is guaranteed by allowing any combination of online measurements in a single system including. 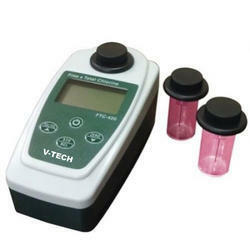 We are suppliers of Chlorine Meter. This membrane-covered amperometric sensor is used to measure the total chlorine concentration in water.